The Amigo Bravo 12 Plus Bundle with Disc Front offers versatility throughout the year in a turnout with two different liners, at a great price. Bravo 12 plus 50g with Disc Closure lightweight turnout is made from a 1200D hard wearing polyester waterproof and breathable outer featuring the Horseware innovative Disc Closure System at the front; leg arches, reflective strips, cross surcingles a shine enhancing polyester lining; a detachable hood and loops to attach liners. 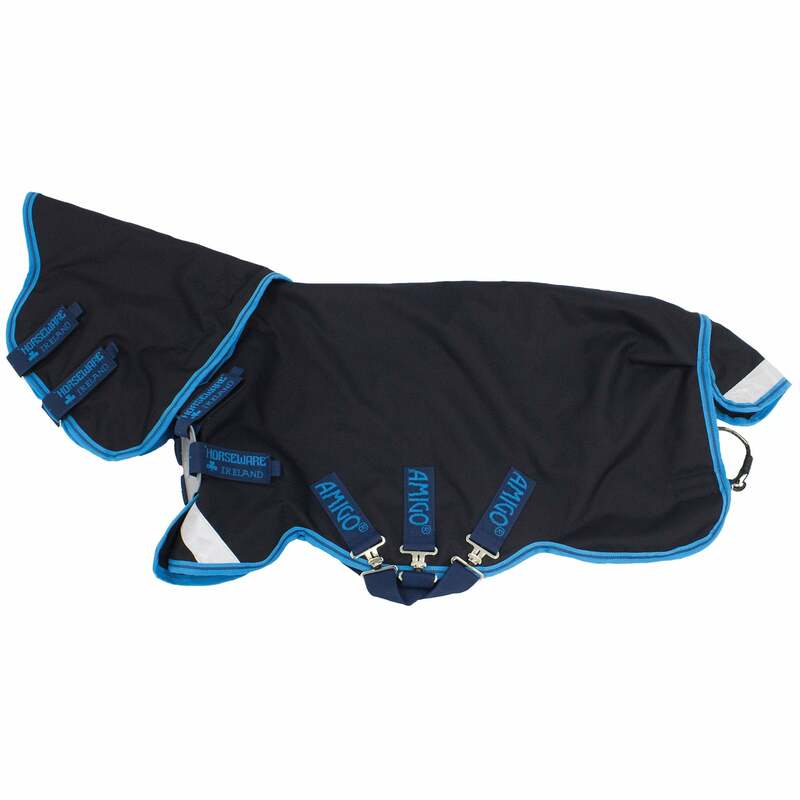 The Bravo 12 Plus Bundle has 2 Horseware liners which offer additional warmth when attached to the outer. A 100g can be added when the 50g fill isn't providing enough warmth to combat the chill to give a medium weight turnout and the 300g liner can be added to create a heavier-medium weight turnout.